As you can see, Apple is reiterating what it previously told The Verge last month: any slight bends are a result of the iPad Pro’s manufacturing and cooling process, and the company seems to suggest that so long as any “subtle deviations in flatness” aren’t perceptible during normal scenarios — meaning when you’re facing the iPad head on and actually using it — they shouldn’t be a concern to customers. The 400-micron flatness specification first revealed by hardware VP Dan Riccio also gets another mention (this time with the added context that it applies across the length of any side). If 300-400 microns is noticeably bent, I think this is a problem. 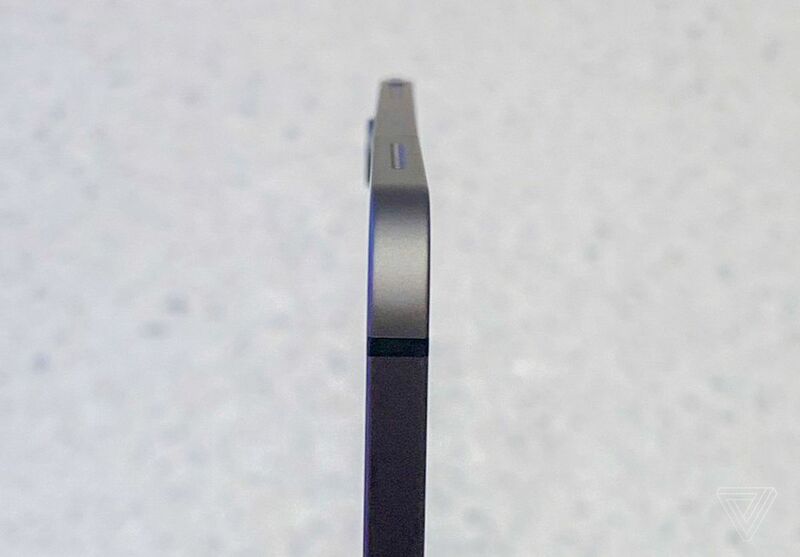 The photos of bent iPads people are sharing look like they’re bent a lot more than 0.4mm. But it’s only 5.9mm thick so maybe 0.4mm *is* noticeable? But Apple doesn’t provide a visual example of what an iPad with a 400-micron deviation looks like. What is this in laymen’s terms? Is an iPad Pro that lifts off a flat surface out of spec? 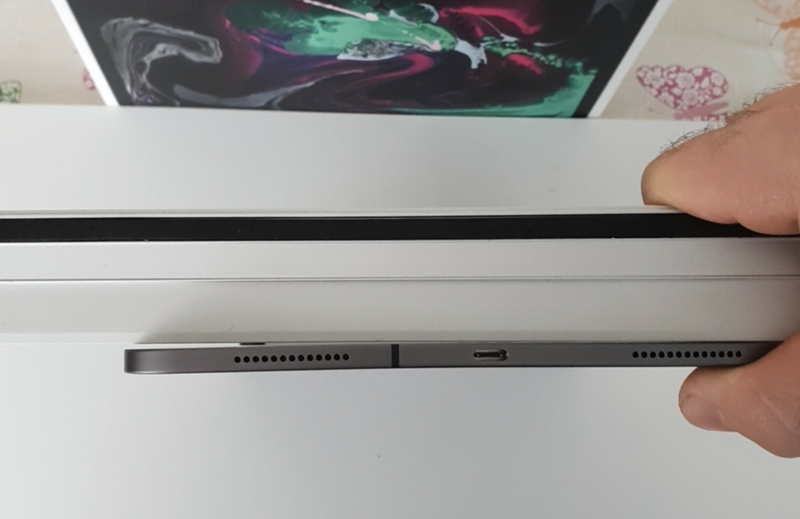 There are several images of bent iPad Pros on the web that are clearly warped beyond that measurement, but should people be stacking sheets of paper to figure out the close calls? An out-of-box 11-inch 2018 iPad Pro Wi-Fi + Cellular. Is this over or under 400 microns? But I read the bit about the antenna line and flat edges making any deviations “more visible” to mean yes, even bends that fall into this spec might be noticeable if you know where to look. When a device gets as thin as 0.23 inches (5.9 millimeters), your eye is going to have an easier time finding slight imperfections. I’ve seen relatively few complaints about bending with the Wi-Fi-only model, as it’s got metal running around the entire outer edge without the antenna splits. Again, as it first told The Verge last month, Apple is adamant that a bend within spec will not compromise the device’s structural strength, impact performance, or grow worse over time. The company doesn’t go into how it’s so confident in that statement, but presumably the iPad Pro has been through a gamut of testing. The support page mentions its inspection process, but doesn’t address durability checks. Apple urges anyone who believes their iPad Pro enclosure has a warp or bend beyond 400 microns to contact the company’s support channels, and also reminds customers of its 14-day return policy. The statement stops short of issuing a formal replacement program for devices outside that return window, but the punt to customer support tells me that representatives are likely well aware of the situation.